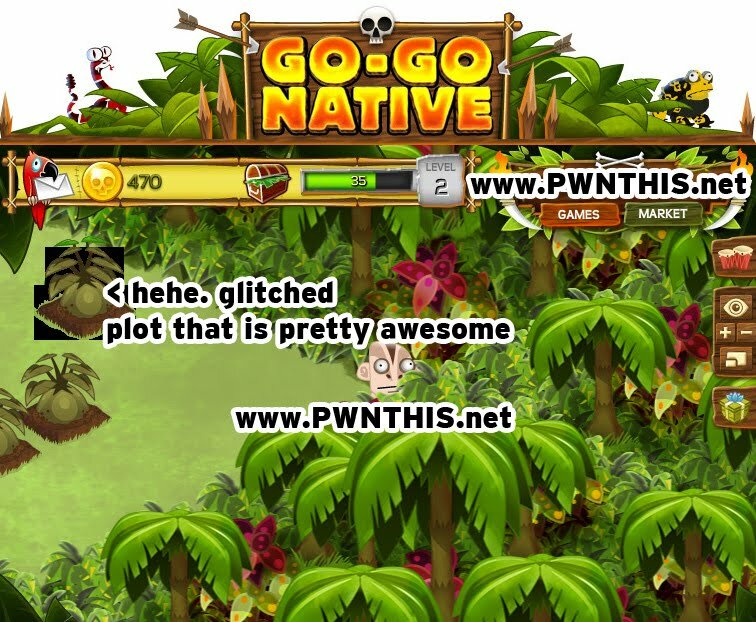 UK-based developer Geek Beach's first Facebook offering - GoGo Native. This is your typical farming game with a twist. The types of plants you grow attract different animals to your native lands. So you start out with a small plot of land in the jungle. There are limited things to do when your level is low and your coins are few. You can start by planting the basic crops which gives you powers - Oomf, Zing and Jomo. Zing gives you the ability to instantly grow crops at the cost of 100. Other powers allow you to breed animals or gain power in the jungle. You can even CROSS BREED animals. Imagine mating a pig with a dog. :O I have no idea what would result from such a breed. Then we also have mini-games that you can play while waiting for the plants to grow. There are 3 different mini-games. Swamp Jumper, Voodoo Charms, and Jungle Rumble. Can you become King of the Jungle? 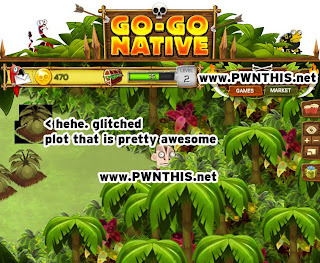 GoGo Native will immerse you in a magical land where you grow exotic plants, breed strange animals and challenge your friends in mini games. you never know what you might attract out of the jungle! We want cheats! We want cheats! So far, yes there are cheats for it. And I will post them up as soon as possible.